Click The Image Above To View Kristin's Latest Newsletter! At Clements’ Marketplace, we take great pride in offering not only the finest selection of products available, but also valuable educational resources about the foods you eat. 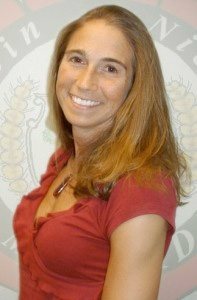 Kristin Niessink MS, RD, LDN, our “Fresh Facts” dietitian, is a long-time resident of Aquidneck Island. She is here to offer great information about the latest healthy eating trends. She seeks to educate, empower, and inspire people through nutrition counseling, newsletters, and seminars. With all of the food options available, the grocery store and restaurants can be daunting. Understanding ingredients and interpreting media information gives people the power of knowing what to eat and why. Her goal is to help people make the lifestyle modifications necessary for a long, healthy life. Her commitment to healthy living and excitement for nutrition help to inspire others. Get inspired!